I found this interesting video from EveAnna taking Michael Fremer on a tour of their Chino, CA. place. An inside look as to why top notch gear demands the investment from buyers. Long video, but worth the time. Only 10 min in and I love it! Thanks for sharing this. Lots of explanation on how "all things matter" in the world of analog sound reproduction. EveAnna is an old soul and knows how to take things in stride, making the best possible product that we can today, while recognizing that evolution is to be welcomed, not shunned over the lifetime of a product. I like how she supports the servicing of vintage gear by employees on their offtime to strengthen the customer bond that has been built over the years and stand behind that gear! I really enjoyed seeing the obviously skilled technicians perfecting their craft on the factory floor. 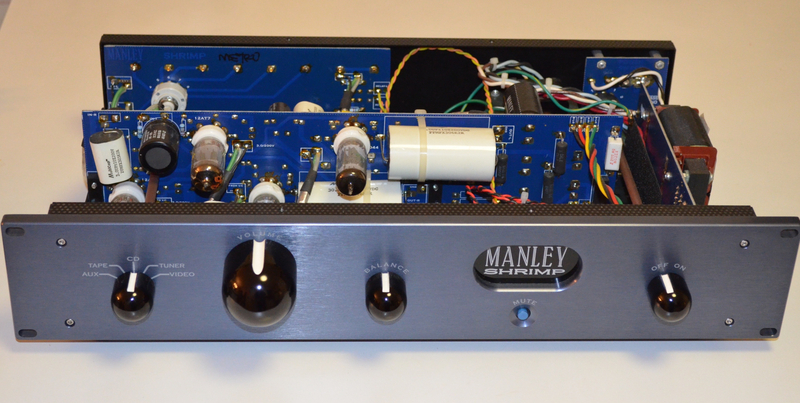 Would love to be able to purchase this $6k preamp from them someday. Truly a statement piece, in my opinion. How about this one? A lot less than 6K! "I know a guy..."
Dennis, thank you for posting that wonderful and informative video. We've wanted to drop by the Manley facility when in the area, but never managed to fit it in our tight schedule. Two observations, the first is where were the tube amps!?! The second and we hope someone at Polk that matters reads this is the importance of excellent customer service. That means a live person answering the phone who knows the products. The recording stating we're busy now and will call you back IS NOT EXCELLENT CUSTOMER SERVICE!!! You'll never lose customers faster than having crappy customer service. Jesse what’s up with talking in plurals? Agreed, but it has the benefit of being in my possession. That was a nice tour. Makes me just want to do business with them period. - Honesty and transparency about what parts they outsource, plus the why and how of it. - Cables matter as she discusses having to source exactly the cable they want, even if the original supplier discontinues it. - The technician giving priority to a 'parts order' (repair) first, while putting production QC aside temporarily. - The time and effort spent on tube matching. When a company puts that much effort into tube matching, it makes you wonder if subsequent tube rolling by the owner/purchaser of a unit does more harm than good. That's about as far as I got...need to finish watching the rest!